Observation - Robin - UK and Ireland. Description: Not very exciting I know, but I just can't resist photographing a robin and he posed so sweetly in the tree for me! 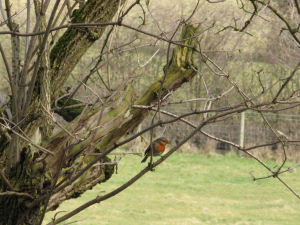 Not very exciting I know, but I just can't resist photographing a robin and he posed so sweetly in the tree for me!